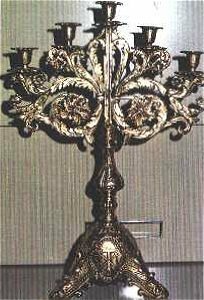 Wall bracket is baroque style. SMALL size lamp holds 15 hour candle. MEDIUM size also holds 15 hour candle. LARGE sanctuary lamp 8 day globe. Each comes with either red or blue globe. or $50 for the LARGE size. Super elegant. 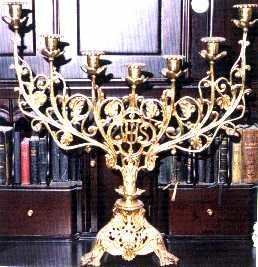 7 branch , all brass, copy of fine antique. 23" tall x 18" wide. 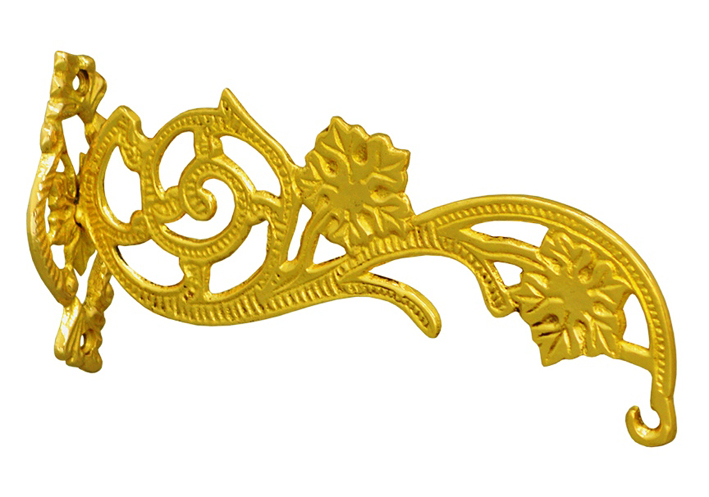 Made of solid cast brass. 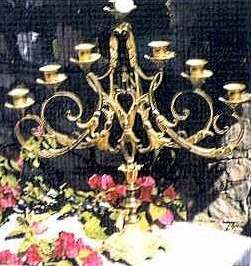 This is a NEW reproduction pair of antique candelabra used for Benediction. 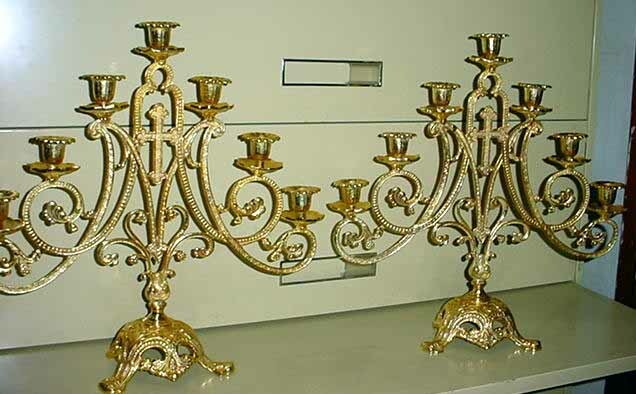 They are made of solid cast brass, gold plated. They hold 7 candles each. 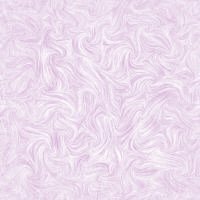 They are 18" tall x 18" wide. Holds a 1" candle. In the design of each you may notice A M for Ave Maria. 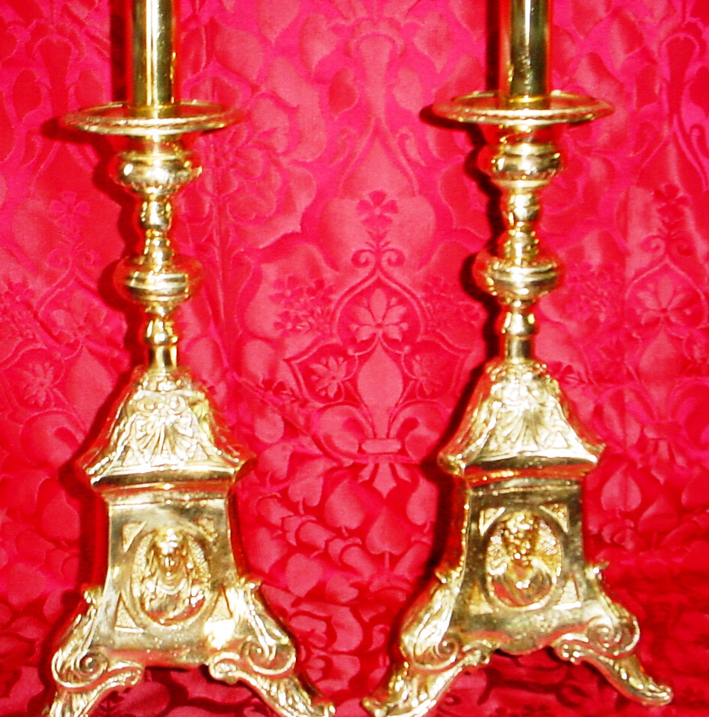 This is a NEW reproduction pair of antique candelabra used for Benediction. 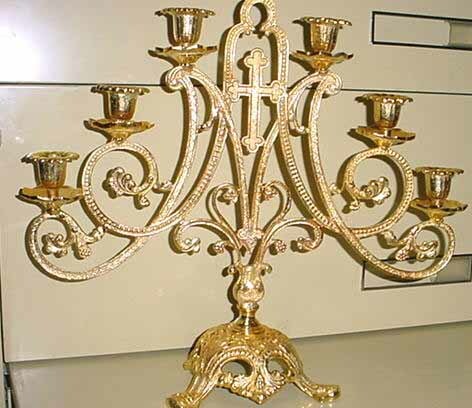 They are made of solid cast brass, gold plated. They hold 7 candles each. They are 18" tall x 18" wide. Holds a 1" candle. In the design of each you will notice the Sacred Heart of Jesus in the center. 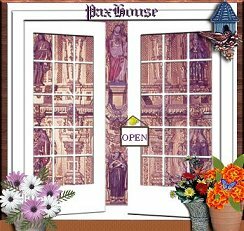 Ideal for 40 Hours devotion, First Fridays and benediction. 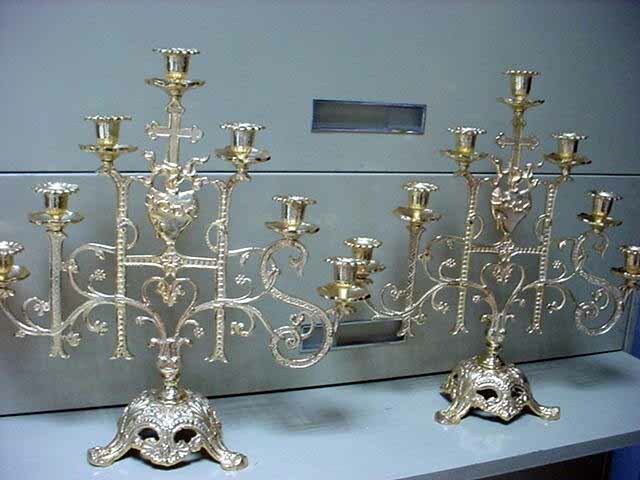 These are copies of original antiques once made by Benziger Brothers, New York. 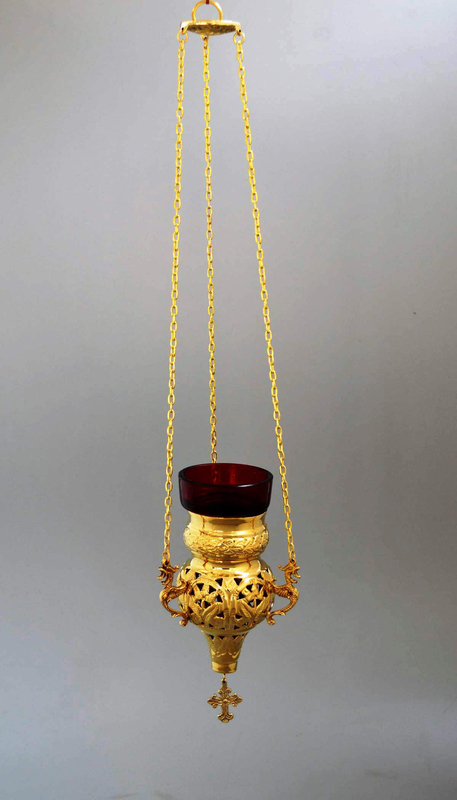 This is a new all brass hanging votive lamp which is GOLD PLATED. 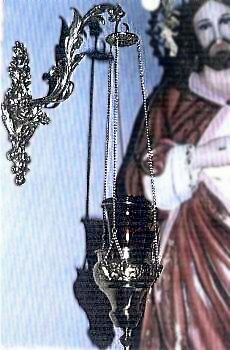 Lamp 5.6" H x 3.4" D, Chain 3"x16" L in US/English units / Lamp 14cm H X 8.5cm D, Chain 14cm X 40cm L in metric units This lovely lamp comes with a red rubly glass which holds a 15 hour candle. Also included is a wallmounted bracket. It is excellent for hanging next to an icon. Gold is over $1,800 and ounce now. So this is a bargain and a gift at this price. Comes with 8 day globe in ruby red or blue glass. 14" tall in antiqued brass. Solid heavy cast brass construction. 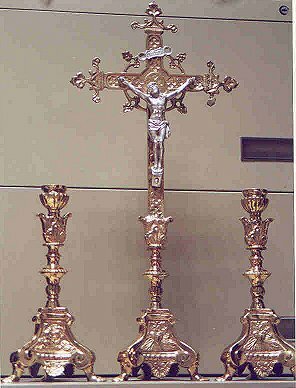 Standing altar crucifix with matching pair of candlesticks. 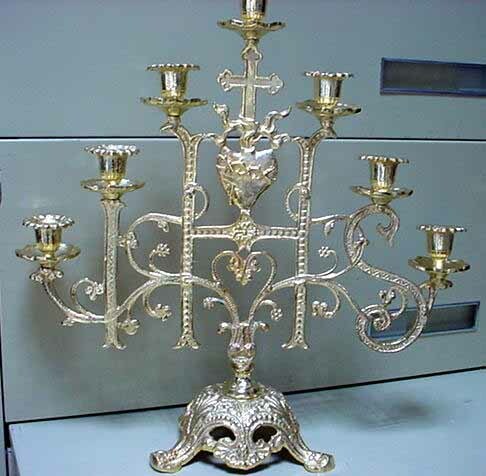 Made of solid cast brass, gold plated with silver plated corpus. Matching altar crucifix is 25" tall for $450.